I love online shopping. Especially when it comes to makeup and skin or hair care products, I'd much rather do it while sitting in pjs, from the comfort of my home. Of course products like concealers and lipsticks are easier to buy in person, but I opt for online purchasing of the same when I'm sure of the shade. Given the extra-ordinary variety of products and brands available online and the fact that I'm really lazy, online shopping is an absolute blessing. Plus, the surprise discounts. Who doesn't like that! 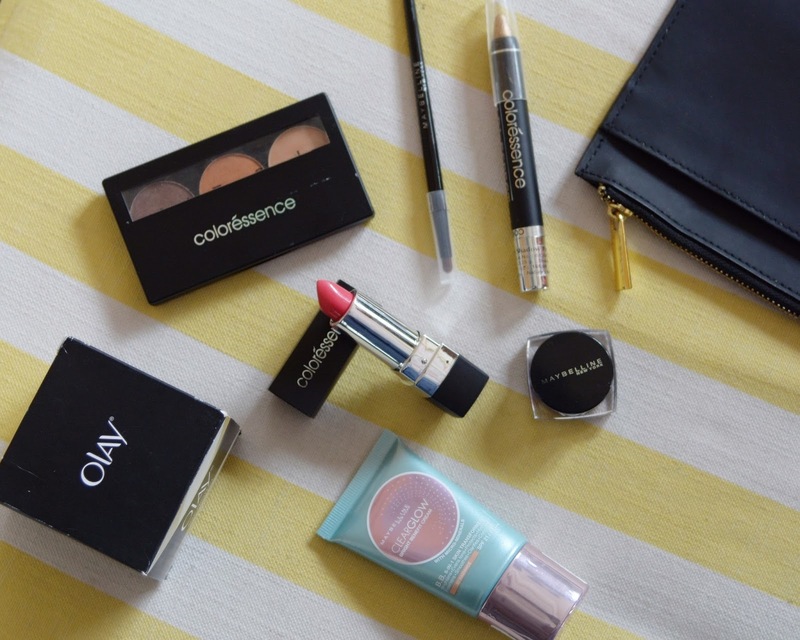 The site Aplava offers an immense variety of international makeup and beauty brands. Having browsed through the website, it wasn't just the collection that caught my attention, but also the personalized beauty services they offer along with the blog section that's full of extremely informative and helpful posts. I took my time browsing through the website and of course adding tons of products to my wishlist. For my first shopping experience though, I decided to re-stock a few of my usual essentials. From placing the order to the delivery and packaging, everything was perfectly smooth. I received my order within a week along with a lovely thank you card and a discount voucher on my next purchase inside. Coming to my purchase, I ordered the Maybelline Dramatic Gel Eyeliner as I'm now feeling brave enough to progress from a liquid one. 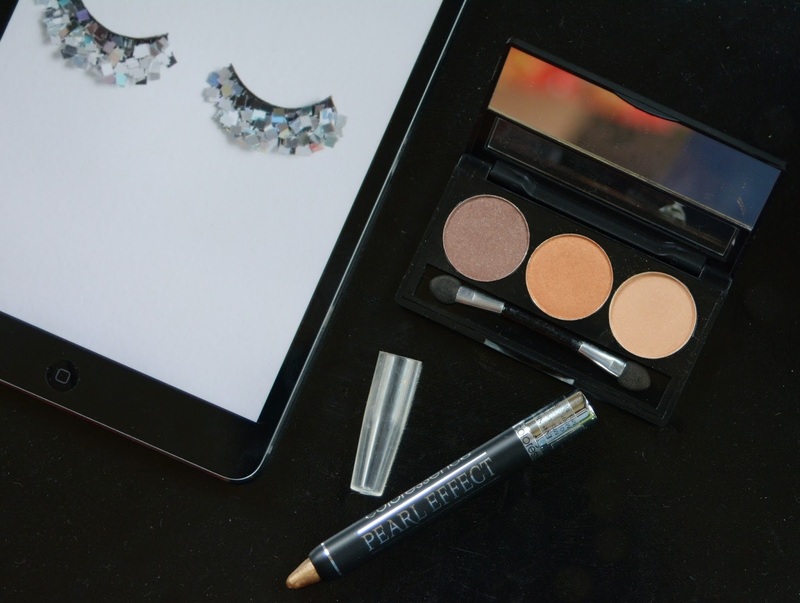 I also picked up the Coloressence Satin Eye Shade and the Pearl Effect Eye Shadow Pencil in gold. Next on my list was the Maybelline Clear Glow BB Cream (I bought the Radiance one). I'm not a foundation person. For me it's always been either this BB cream or the Lakme CC cream. Oh and I also ordered a Coloressence Mesmerising Lip Color in the shade Unrequited Love. 'Cuz ain't no such thing as too may lipsticks...Aplava boasts of offering some of the best face creams for women. For years now I've only ever used either Johnson's Baby or a medical cream called Emolene for my face. However, having browsed through the face creams collection on the website, I ordered the Olay Age Protect Anti-ageing Cream for my mom. I'm perfectly happy with the quality of the products and quite pleased with my overall experience. I cannot wait to shop some more and will definitely order some lust-worthy stuff from international brands that's been on my list. What are your essentials like? Which sites do you guys shop from? Would you give Aplava a go having read my review? Let's chat in the comments section below. I hope you enjoyed going through this post. Lots of love - M!